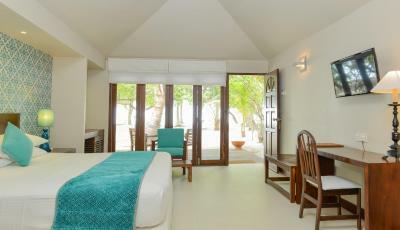 Lock in a great price for Adaaran Select Hudhuranfushi – rated 8.9 by recent guests! Staff are super helpful and nice, they’re always smiling and trying to help. 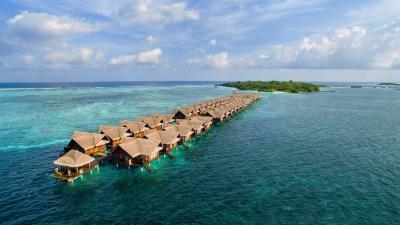 The building is amazing Beaches are geogeous Ocean villas are expectacular I had such a great experience in this place! I would definitely recomend it. From arrival all the staff were friendly and helpful. We arrived early and they took us straight to breakfast while the room was readied. Our butler Abdul on the ocean villas was awesome, anything he could do he would. Also Naby (excuse spelling) our waiter in the Banyam restaurant was great, everyone was. 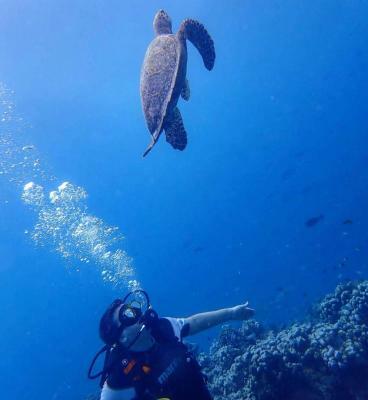 Nice that is was short boat journey 25mins, nice snorkeling around the island even seeing a large turtle just offshore along with rays, plethora of fish and some small sharks. 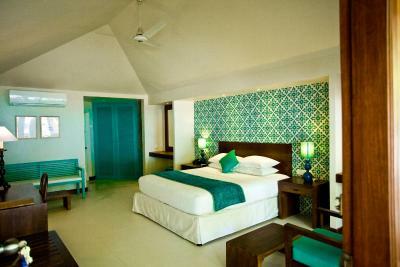 Rooms where comfortable and clean, mum had beach villa and myself, wife and 6months old daughter the ocean villa. Would certainly like to return in the future. 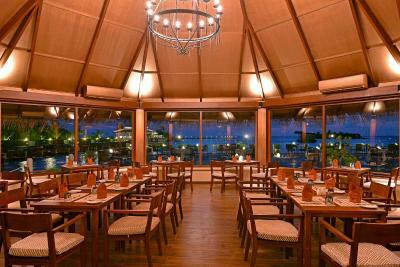 Thank you Adaaran Hudhuran Fushi..
-extremely friendly staff , try their best to make you happy and to accommodate your requests -lovely beach with relaxing quiet atmosphere. Lovely marine life , beautiful white sand. -waking up to watch the sunrise and sitting to watch the sunset and all the beautiful star constellations at night. I have booked two night in beach villa and two nights in ocean villa, I recommended to you to do the same because this will save some money and will allow you to get familiar with everything in the island. 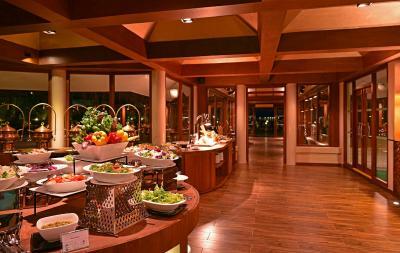 the view, facilities, activities and food was very good you will like it for sure. another good thing for this property is that the shuttle is cheaper comparing to other resorts in the Maldives because it is no very far from the airport. Although there was a mistake in booking due to own mistake but finally the front desk team support us alot. 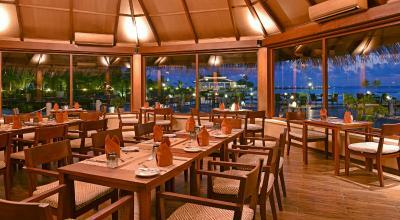 Beach near the bar is so good Staff polite and smily Meals with varous option. 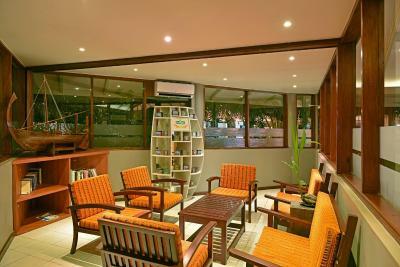 Very kid friendly place Beach villa is just few walk to the beach. Very nice outdoor shower. 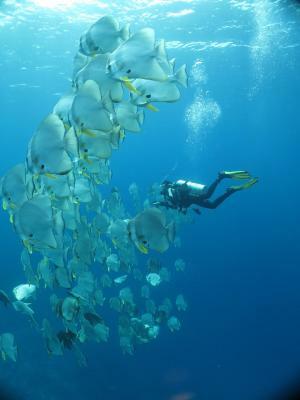 Excellent views and facilities, the scuba diving was world class and safe. There was also a great pool with a bar, kayaking, wind surfing and what not. 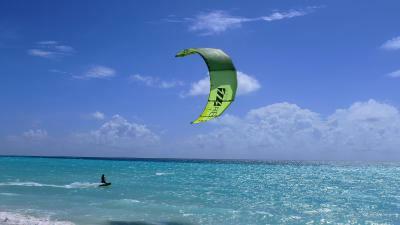 Secluded beaches along with great rooms and friendly staff. Butler takes care of you from the time you sign in to the moment you are out. They really make you feel very welcome and I’m charmed by their hospitality. Adaaran Select Hudhuranfushi This rating is a reflection of how the property compares to the industry standard when it comes to price, facilities and services available. It's based on a self-evaluation by the property. Use this rating to help choose your stay! 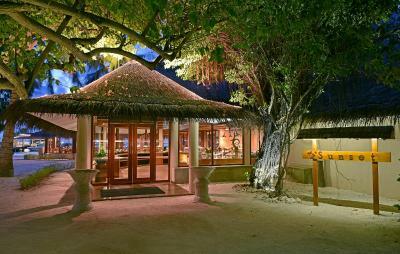 Adaaran Select Hudhuranfushi offers a holiday experience filled with sun and sea on Maldive's Lhohifushi Island. 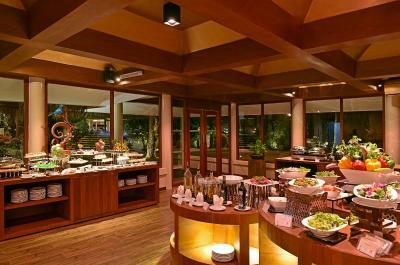 Among its facilities are an outdoor pool and a tennis court. 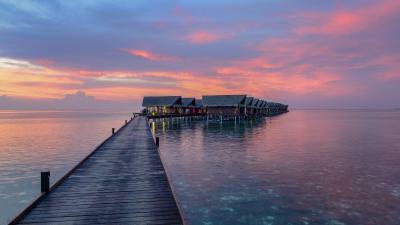 Fully air-conditioned, the private beach and over-water villas come with a cable/satellite TV and mini-bar. Private bathrooms have an outdoor rain shower and hairdryer. 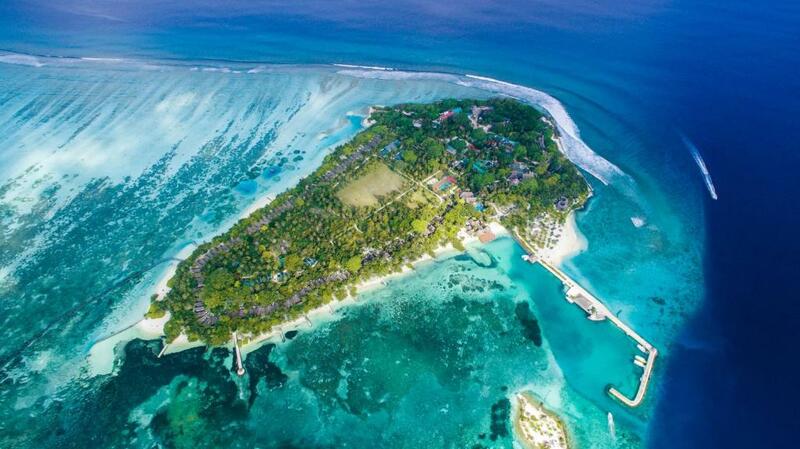 Adaaran Select Hudhuranfushi is about 12 mi from Male International Airport. From there, it is 30 minutes by speedboat to the island. Chavana Spa features a relaxing menu of massage therapies, spa baths and facials. 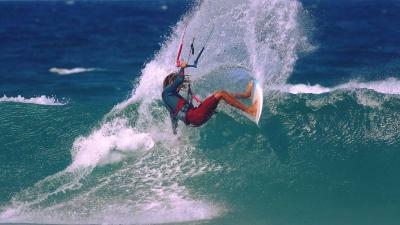 Guests may also make use of the on-site water sports facilities to kite surf, dove and wake boarding. A gym is also available. 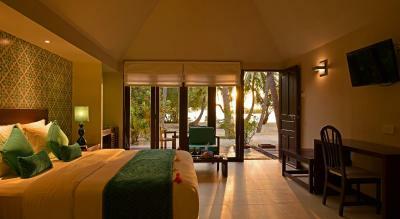 When would you like to stay at Adaaran Select Hudhuranfushi? 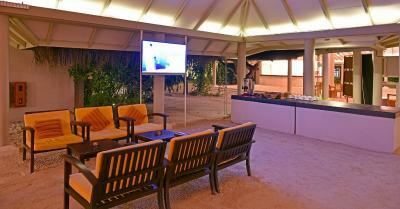 Beach Villas are located along the beautiful beach and come equipped with a variety of modern amenities. Airport shuttle service charges are not included in the room price. For more details please refer to Important Information. This villa features a bathrobe. 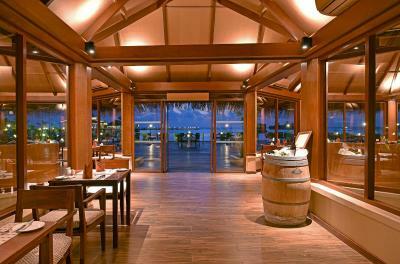 House Rules Adaaran Select Hudhuranfushi takes special requests – add in the next step! All children under 12 years are charged USD 145 per night for extra beds. Adaaran Select Hudhuranfushi accepts these cards and reserves the right to temporarily hold an amount prior to arrival. 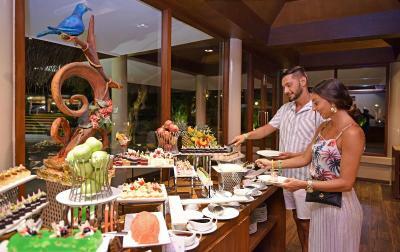 Children below 2 years will eat for free based on the rules and meal-plan accompanied by an adult, excluding alcoholic beverages. As me and my husband are vegetarians, there was no eggless desserts for us, although the restaurant made an eggless cake for us as a gift for our honey moon. It was so sweet. However, I recommend to make some more sweets for true vegetarians. And I noticed that there were some mistakes in ticking the dishes as vegetarian/vegan/no eggs etc. For true vegetarians, especially vegans it's crucial. Delay in luggage delivery to room - over an hour was too long! The staff seems tired. We found the most of the staff not approachable and not helpful. Need to improve your guest relations. I wanted to book for the Game fishing but the day I asked for was not possible so I ask the guest relation to check for another day and get back to me. This did not happened, even though I reminded him a couple of times. Clearly he didn't even bother. The pricing for water sport activities are a bit too steep comparing to the other resorts in the other countries that we visited. That's probably why we didn't see many people doing water activities, apart from snorkeling which is free anyway. Wonderful location that all we can say. The highlight of our stay was the Tour around the Garden. As we were walking pass the garden, the gardener was so kind to offer to show us the Garden which we accepted. We had a wonderful time. 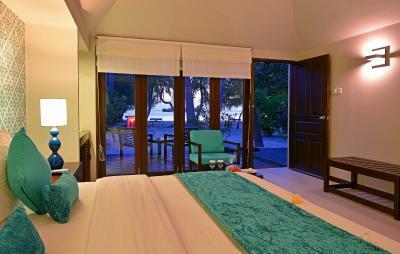 Thank you also Select Hudhuranfushi for upgrading us to Adaaran Prestige Vadoo for the first night. We really enjoyed the stay and the hospitality. The Staff and facilities was fantastic. 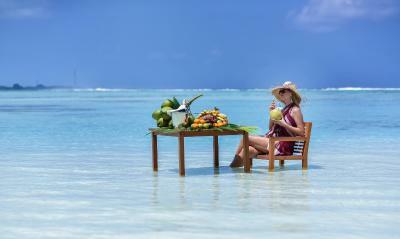 In room breakfast should be provided to Ocean villa guests at least. 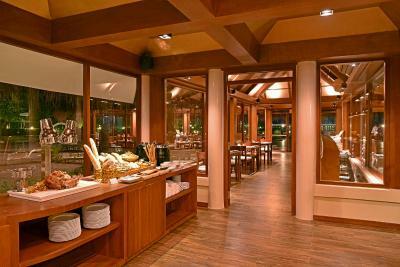 Everything like food, view, locations, staff, cleanliness, excursions, etc. As i said, it was great experience with some small things that i didn't like - expensive boat transfer ( 2 people total 270 USD) which does not include anything special - boat house (nothing included) i had to pay for stand-up paddle, kayak, fins etc .. (which normally is free of charge for guests) - we had all inclusive package, but many thinks are not included into it and the extra price that you have to pay is much higher . 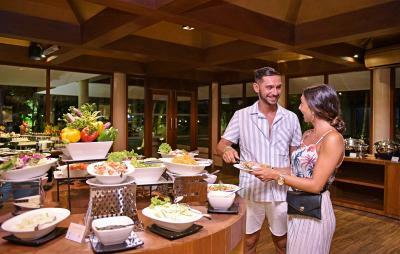 I would recommend an all-inclusive package because alcohol / drinks / restaurant food is really expensive. -no WiFi in rooms. I came prepared and bought SIM cards from the airport - didn’t like the boat transfer organization : was made to wait a very long time and I felt as if we were waiting to immigrate rather than coming to a luxury vacation ; boat transfers should be more frequent and wait times less especially considering that costs are more expensive than Dubai or Geneva so the standards should at least be equal if not better. -SECURITY CONCERNS OF GUESTS MUST ALWAYS BE TAKEN VERY SERIOUSLY AND NEVER DISMISSED LIGHTLY: at dinner a classic pub hooligan Brit was very creepily and disgustingly staring and ogling at my wife from every single angle possible and for a long time as soon as his wife left his dinner table. He had very little regard towards us and was very blatant about it . Then he went for a second looking and a third until his wife returned. When I addressed that I was concerned at what this man would do if he suddenly found us somewhere on the island or was extremely drunk and that it was not some teenage pervert this was a potential danger it was wasn’t taken seriously and was casually dismissed ; when I pressed the issue the manager came and gave me some hollow assurances without backing it up with action ; the next day We weren’t even kept in a different seating zone like he promised. 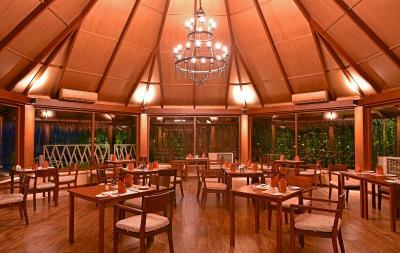 IF SECURITY CONCERNS ARE NOT TAKEN SERIOUSLY THEN IT IS DIFFICULT TO ENDORSE A RESORT TO FRIENDS AND FAMILY. Even if they felt somebody is exaggerating or taking it overboard you still mustn’t take the matter lightly . I wouldn’t push the issue unless I was 100 percent certain and the offenses were repetitive and blatant. When we reached after 12 hours journey , they made us to wait alot before giving us the room. The girl who welcomed us took us to reception made us to sit disappeared for 15 minutes. Then came in and started giving us a lecture of instructions regarding stay and facilities. At that time we just needed to rest for a while as we had been traveling whole night. 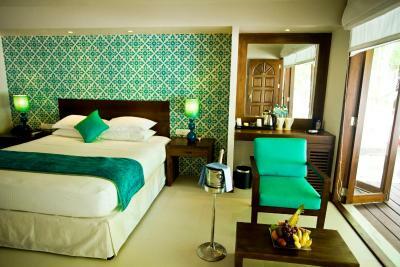 The Ocean Villa bed was extremely uncomfortable as the springs of the bed were broken. The rooms were clean . They gave us early check-in free of cost .The staff specially Vivek our buttler in Ocean Villa was very helpful and cooperative. The facilities were awesome. The food was ok.